The agricultural world is constantly innovating to develop new technologies for a precision farming that is more cost-effective for farms, more efficient for production, and more environmentally friendly (lower energy consumption and inputs). Our solutions, which are part of a precision farming approach, are interoperable with remote sensing via drone or satellite. Ultimately, the processing of the data collected in agreo and atland makes them indispensable Decision Support Tools to manage fertilisation and thereby optimise yields. 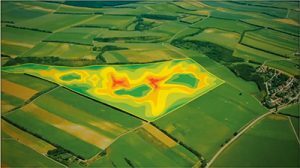 Remote sensing makes it possible to optimise fertilisation and yields at each new crop year by mapping plots, monitoring crop growth status, establishing an agronomic diagnosis, and so on. The results of this complementary service, provided by our expert remote observation partners, may now be imported and analysed in Agreo and Atland. Farmstar is a satellite assisted Decision Support Tool service offered by Arvalis – Plant Institutes in partnership with Airbus Defence and Space. Farmstar enables wheat, barley and rapeseed crops to be observed from satellite images taken throughout the crop year. 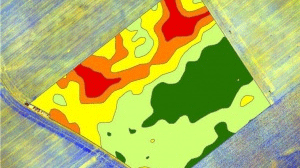 Retrieving data in Agreo and Atland in the form of maps thus allows farmers to adjust nitrogen inputs on their plots, in the right place, and at the right time. Developed by Geosys, the Cerelia tool combines satellite remote sensing, agronomic expertise and knowledge of the field to analyse the status of winter cereal or rapeseed crops during the crop year and hence detect growth anomalies. Interoperable with our plot management software, this service allows the farmer to access modulation or nitrogen input maps directly in Agreo or Atland, enabling the implementation of fertilisation adjusted to the variability of each plot. Optimise the total dose of nitrogen with Wanaka’s aerial photography. 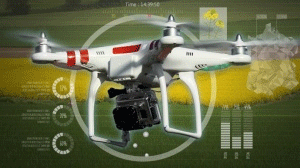 As part of a precision agriculture approach, Wanaka offers remote sensing services on soft wheat or rapeseed crops. From Agreo or Atland, the farmer orders customised advice on the dose of fertiliser to apply. Wanaka takes aerial photographs via drone or ULM, then analyses and interprets the collected data according to the environmental parameters of the farm entered beforehand into the plot management software (soil, type of seeds, climate, etc.). Finally, modulation maps are returned to the agricultural operator who can thereby carry out the spreading. You no longer need to enter your interventions on your console. Thanks to the PreciZion web module that is compatible with ISOXML, the plot management software applications Atland and Agreo communicate with the embedded consoles of many agricultural machinists (John Deere, Müller Elekctronik, Massey Ferguson, CCI, Fendt, Kverneland, Vicon, Tecnoma, Topcon, Valtra, etc.). The Precizion module successfully passed the conformity tests for FMIS software set up by AEF to test its ISOBUS compatibility with many manufacturers of materials and terminals. SMAG hence becomes one of the certified operational First cloud FMIS. Developed in partnership with SMAG, BeApi has designed a platform facilitating the management of intraplot advice. Accessible only for BeApi partner cooperatives equipped with SMAG (Agreo or Atland) plot management software, this tool brings together the farmer’s plot data and enables the order, management, and retrieval of intraplot advice in order to generate application maps for the farmers. Would you like more information about precision farming ?